Portable strech out hand lever. 2600w maximum output for larger appliances like microwaves and hairdryers. Lightweight at only 31 kg. With its 2600 watt maximum output the IG2600P is ideal for radio, TV, PC, tablet and mobile phone use. In caravan use the IG2600P will easily manage your battery charger giving you the option of longer time away from an electrical hook up. The IG2600P will run a travel iron, travel kettle, most two slice toasters and 500 watt heaters for your on board hot water. The IG2000P is also capable of running a typical microwave and hairdryer but take care not to add too much extra load whilst these items are in use. 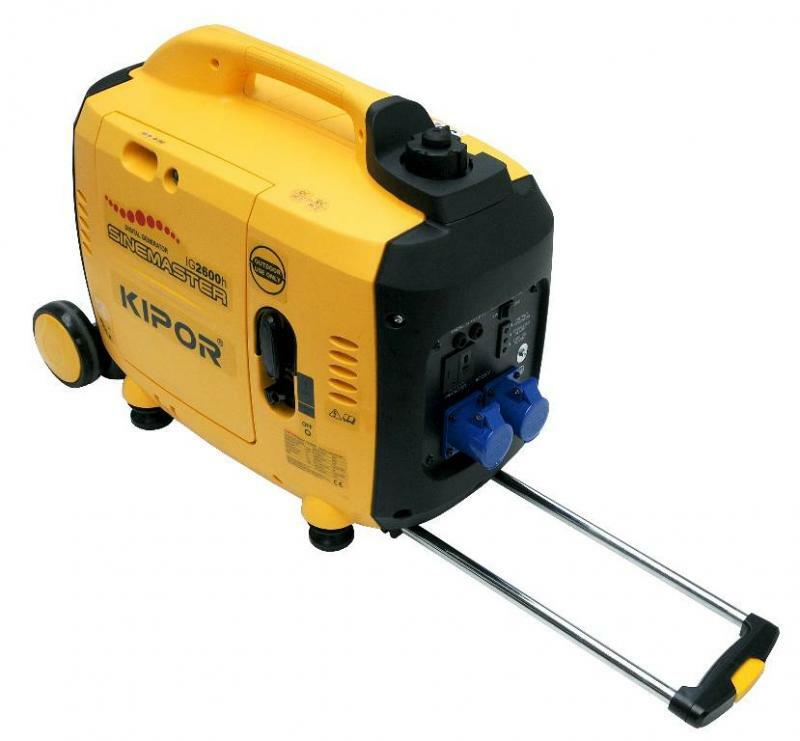 With its 2300 watt rated output power the IG2600P can be a source of power for use in the garden or allotment, there are also many workshop applications where the IG2600P can be of great use. All you have to do is fill it with fuel and oil and it is ready to go.